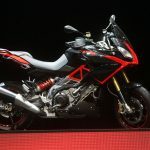 Piaggio revealed a new Aprilia adventure tourer at its dealer meeting dubbed the Caponord 1200, giving the manufacturer a competitor to the GS’s and Tigers and Multistradas of the world. 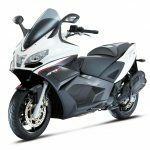 Expected to launch as a 2013 model, the Aprilia Caponord 1200 features the same 1197cc engine as the Dorsoduro 1200, which claims 130 hp at 8700 rpm and 85 ft-lb. at 7200 rpm. 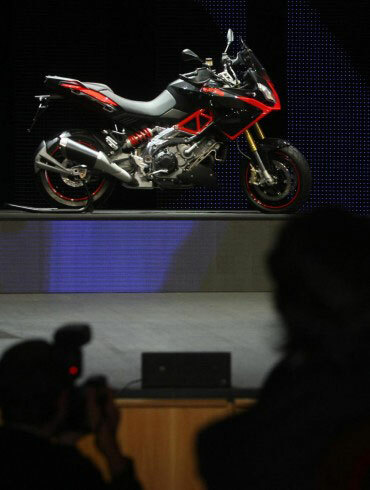 The frame is also the same as the Dorsoduro’s, including the laydown rear shock, as seen in the picture below the jump. 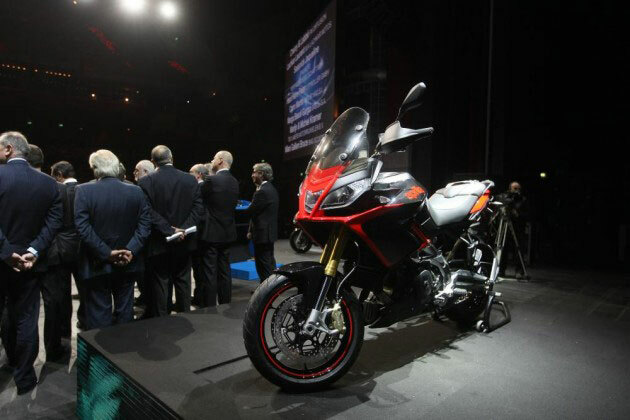 What’s different from the Dorsoduro is the side-mounted exhaust instead of an underseat pipe. 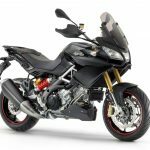 The front end also lacks the “beak” fender found on the Dorsoduro but popularized by the BMW GS and copied by other adventure tourer manufacturers. Instead, the Caponord’s face resembles that of the Aprilia RSV4. 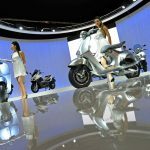 Italian outlet Motociclismo, which managed to snage these photos from the Piaggio meeting, reports the Caponord may be accompanied by a variant model with better off-road capability like BMW’s R1200GS Adventrue and Triumph offers with its Tiger 800XC.